I-DREAM 을 후원하여 주시는 모든 분들께 깊은 감사와 함께 새해 인사를 전합니다. 2014년에 이어 2015년은 저희 I-DREAM 에게있어 매우 뜻깊고 또한 바쁜 한 해였습니다. 2014년 겨울과 2015년 봄, 두 차례에 걸쳐 아프리카 챠드에 책보내기 운동을 벌인 결과 총 600 kg이 넘는 영어/불어 책들을 수집하여 기증했습니다. 2015년 2월에는 챠드의 굿네이버스 및 Sarh 대학교와 함께 “동반성장 국제 컨퍼런스” 를 개최하였습니다. 2015년 5월에는 연례 정기총회를 프랑스 빠리에서 개최하였습니다. 이 행사는 유럽 에너지 환경 전문분과 모임과 연계하여 개최되어 두 분야 회원들 사이에 심도 깊은 토론을 진행하하였습니다. 2015년 한 해동안 매월 월례회의를 통하여 적정기술 세미나를 진행하였습니다. 5월에 개최된 정기총회의 의결사항에 따라서, 아프리카 프로젝트 팀을 구성하였습니다. 협회의 취지에 따라, I-DREAM은 동반성장에 관한 토론의 장을 열고, 많은 분들의 참여를 유도하고자 합니다. 협력 관계에 있는 공동체의 필요에 따라, 회원들과 협력 단체들의 지식과 경험, 그리고 에너지를 결집하여 도움이 될 수 있는 방법을 찾고 있습니다.이러한 저희 활동을 가능하게 하는 것은 회원들의 노력과 함께 저희들을 지원해주시는 모든 분들의 관심과 후원입니다. I-DREAM은 2016년 다음과 같은 사업을 중점적으로 추진하고자 준비 중에 있습니다. 아프리카 프로젝트 팀의 첫번째 사업으로 아프리카 챠드에서의 생태마을 및 건축 환경 개선 사업 시작할 예정입니다. 다양한 그룹과 적정기술 및 동반성장에 대해 공유하고자 I-DREAM DAY를 지역별로 실시할 예정이며 툴루즈에서 1월 *일 예비모임을 거쳐 파리에서 2월 20일 첫번째 I-DREAM DAY를 시작할 예정입니다. 2016년 EKC 프로그램에서 동반성장 세션과 함께 청소년 적정기술 캠프를 주관하고 진행할 예정입니다. 2016년 새해를 맞이하면서, I-DREAM과 모든 회원들은 저희 협회를 후원하고 지지하여 주시는 모든 분들과 가족들이 늘 건강하고 행복하시길 기원합니다. 그리고 저희들의 작은 노력이 전세계 동반성장을 이끌어내어 좀 더 많은 사람들이 삶의 질을 높이고 모두가 행복할 수 있는 따뜻한 사회를 만들어 살아가는데 일조할 수 있기를 기대합니다. 아래의 링크를 통하여, 저희들의 협회 활동에 동참하시거나 후원금을 지원하실 수 있습니다. 여러분들의 정성과 지지를 함께 모아, 전세계 동반성장을 위하여 더욱 더 노력하는 협회가 되겠습니다. 다시 한번 저희 협회에 대한 관심과 지지에 깊은 감사를 드립니다. I wish all the warm-hearted supporters and their family members a wonderful new year. 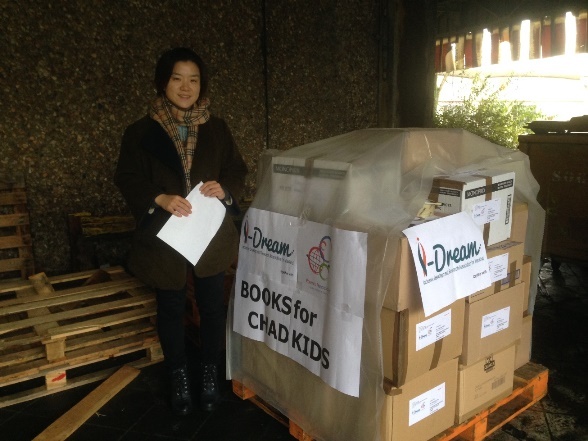 It has been a very busy but meaningful year 2015 for I-DREAM as it was for 2014. 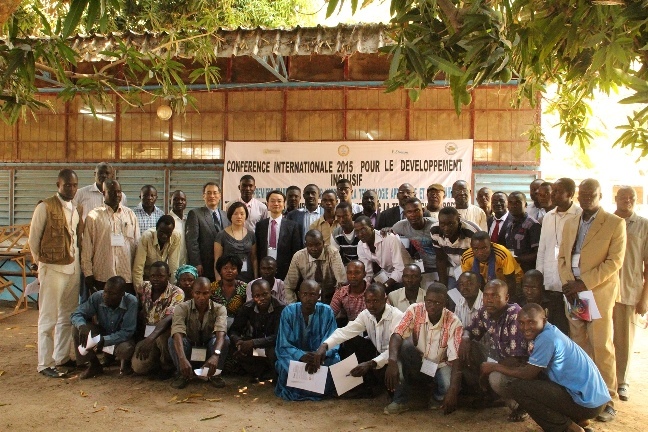 Feb. 2015, I-DREAM has co-organised together with Good Neighbors Chad and University of Sarh, Chad, an international conference on the inclusive development. Each month in 2015, I-DREAM organised an online monthly meeting, where a short seminar on appropriate technology has been given by various experts and specialists. As per the Annual General Assembly decision, an African Project Team has been established. Its 1st project is to form a specialist group on the architecture and habitat environment improvement. As per the objective of the association, I-DREAM will continue holding the forum of discussions, seminars and conferences, where many could participate and discuss how to improve the world inequalities and eradicate the poverties in the developing countries. Any request from any community will be discussed how best to gather the expertises within Europe and provide ways to help the needed communities. All these activities could only be possible with the efforts and interest of all members and of all supporters. By opening a new year’s chapter, I-DREAM and all its members wish you all a wonderful holidays in family and the best wishes for the new year 2016. Thank you very much for your kind support and help to I-DREAM in 2015 and hope that we can continue to count on your warm heart in 2016 as well.